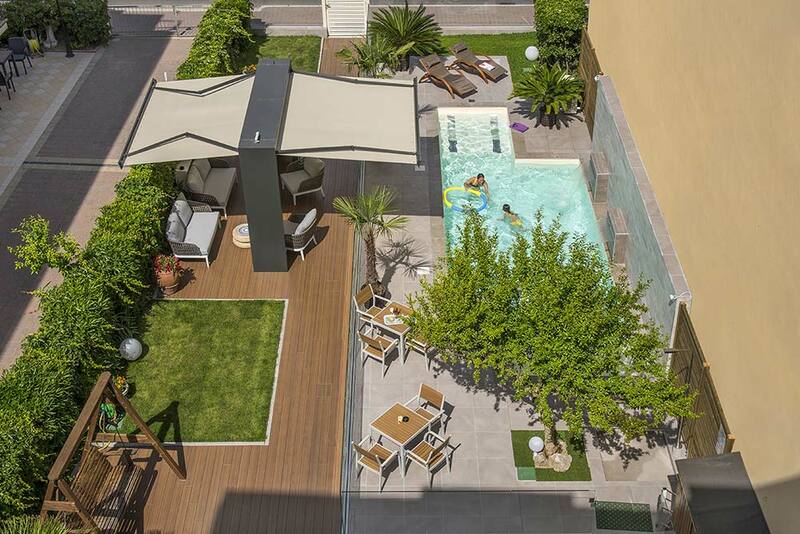 Our new splendid swimming pool was situated between the palm trees and the greenery of our garden during the summer of 2018. 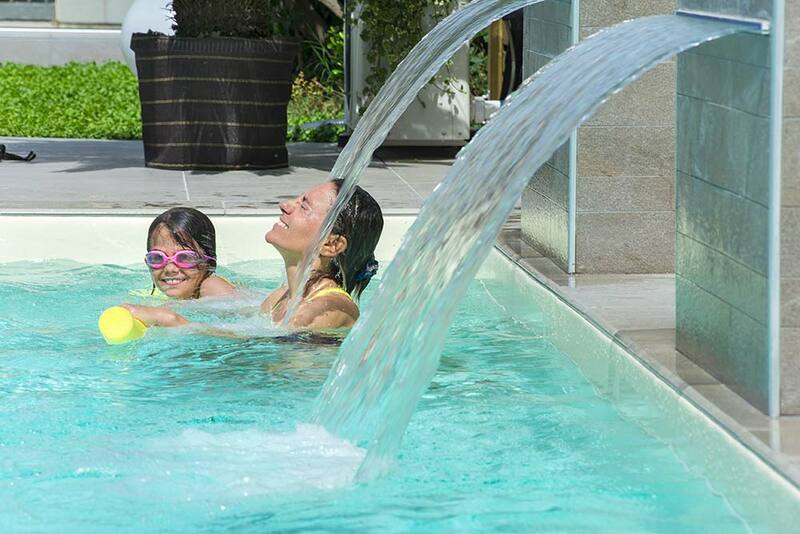 An intimate, modern and well-kept place, dedicated to relaxation and fun for adults and children. 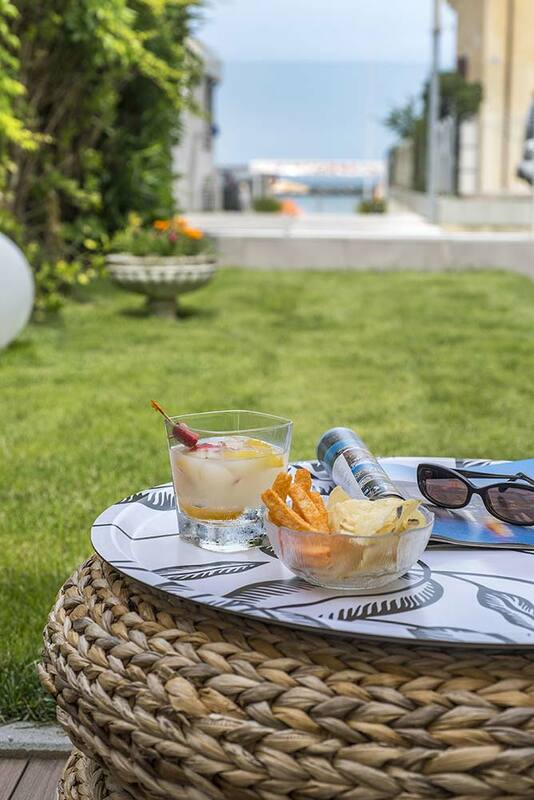 Surrounded by deckchairs and couches, the swimming pool of our hotel in Igea Marina is the perfect place to enjoy a break using the whirlpool jets. Here you can also let your children swim safely, thanks to the shallow water (max 1.05 m). 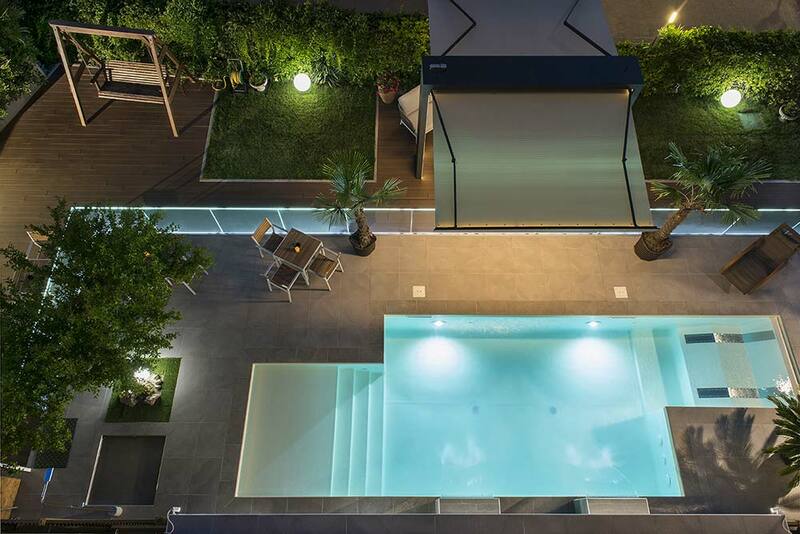 The new swimming pool is also the ideal area to spend pleasant moments at aperitif time or after dinner. Order your drink and enjoy it in good company: a few steps from the pool you will find our bar, with tables and chairs for your use.